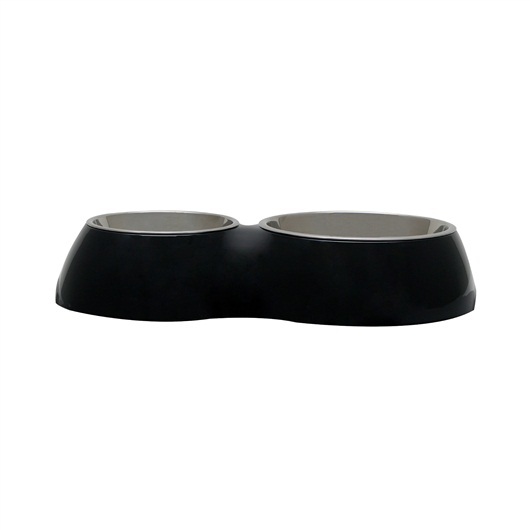 The multi-purpose Dogit Double Diner for dogs can be used for either food, water or a combination of each. Attractive, accent-coloured outer dish blends with any home décor and the stainless steel inserts remove for easy cleaning. Dishwasher safe. Dogit Double Diner for Dogs, Blue. Capacity: 2 dishes - 1 x 350ml and 1 x 160ml. Plastic diner with stainless steel dish inserts.